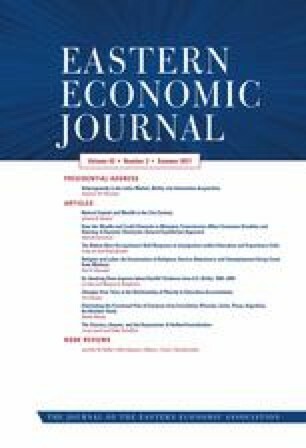 This paper relates five previously unobserved individual attributes (namely, three measures of ability based on the lifecycle human capital model, a rate of time preference, and a skill depreciation rate) to estimates of worker and firm incomplete labor market information for 1539 NLS-Y respondents. First, it finds more able employees obtain more information (or bargain better) about wages than their less able counterparts, whereas firms obtain relatively more information (or bargain better) when dealing with low ability workers. Second, it finds that workers whose skills depreciate more quickly possess less wage information (or bargain more poorly) than workers whose skills depreciate less quickly. Similarly, it finds employees with a greater time discount rates have less wage information (or bargain more poorly) than those employees with lower discount rates. *Based on 2015 Eastern Economic Association presidential address. I would like to thank Tithatanmoy Das for helpful suggestions and computational assistance. Some of the material presented here builds on Hofler and Polachek , Gaynor and Polachek , Polachek and Yoon  and Polachek et al. .
Dar, Atul. 2007. Estimating Worker Information Gaps from a Stochastic Wage Frontier: A Study of Canadian Labour Markets. International Business and Economics Research Journal, 6(12). http://www.cluteinstitute.com/ojs/index.php/IBER/article/view/3441/3488.